Bed bugs are awful. These devious insects get into your home by hitching a ride on you or your luggage from an infected property. You didn’t ask for them, but now you’ve got them, so what’s your best option? Well, before you consider moving, you should know that a bed bug treatment in Albany, OR by a professional bed bug exterminator can be incredibly effective against these blood-sucking menaces. 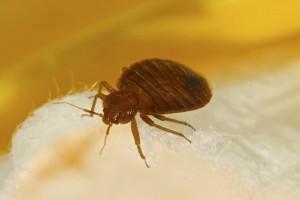 The Killers provides comprehensive bed bug treatment in Albany, OR designed to get rid of any and all unwelcome guests. Though bed bug extermination and identification are best carried out by bed bug treatment professionals, there are some signs you can look for at home if you suspect you may have a bed bug infestation. Bites – Bed bug bites generally appear only on skin left exposed when you sleep. This is their dominant feeding time and bites often appear in lines of three. They do not have defined centers in the way that flea bites do, and though initially won’t itch, will soon become very itchy. Stains – Bed bug blood stains come in two different varieties. The first occurs from crushed bed bugs. After feeding they may be smashed, either on the bed sheets or beneath the mattress. Look for large rust colored blood spots in these places. Skins – Bed bugs molt at various stages during their life. When they do this they leave behind paper thin, yellow skins. These can be found along with dark spots of excrement and 1mm thick white egg sacs. A handheld magnifying glass may better help you locate these clues. Smells – Though victims of bed bug infestations in Albany, OR can rarely decide on a smell, patterns have emerged. Many describe sweet smells like marzipan and almond. Many others describe rotting fruit, body odor, or smell like stink bugs. A strange out of place odor paired with other symptoms can be an indicator. Our bed bug treatment is a multi-step process designed to thoroughly treat your home for bed bugs. We begin every bed bug treatment with a complete inspection of your home. If we do not physically encounter live bed bugs, we will not move forward with treatment. If we do see live bed bugs, we will perform a 3 part bed bug treatment. This involves an initial surface treatment and a cracks and crevices topical treatment that starts in the bedroom and moves outwards. We treat box springs, mattresses, bed frames, nightstands, dressers, drawers, and all furniture in the home as well as baseboards and carpeted areas. Owners will be required to collect all clothing, blankets, and sheets for treatment. The initial bed bug treatment is followed up by two follow up treatments at two-week intervals. 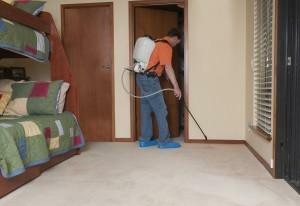 This provides you with the best chance at permanent bed bug relief. 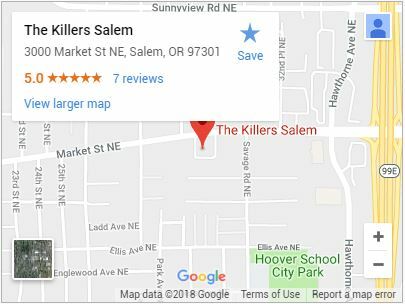 When you need thorough bed bug treatment in Albany, OR that gets results, call (541) 926-6657 or contact The Killers today. Albany, OR is a gorgeous city with a rich history for those who are interested enough to discover it. A fantastic place to start is at the Albany Historic Carousel Carving Studio and Museum. Visitors can see how antique carousels were originally made, and view a beautifully restored antique piece. With a rich history, there’s much to learn about Albany, OR. This includes the Albany Regional Museum. Visitors can see interesting exhibits, listen to stories about famous Albany, OR ancestors, or even take a walking tour to see some of Albany’s most interesting historic homes. Beaverton, Gresham, Newport, OR, Portland, Salem, OR, and more!